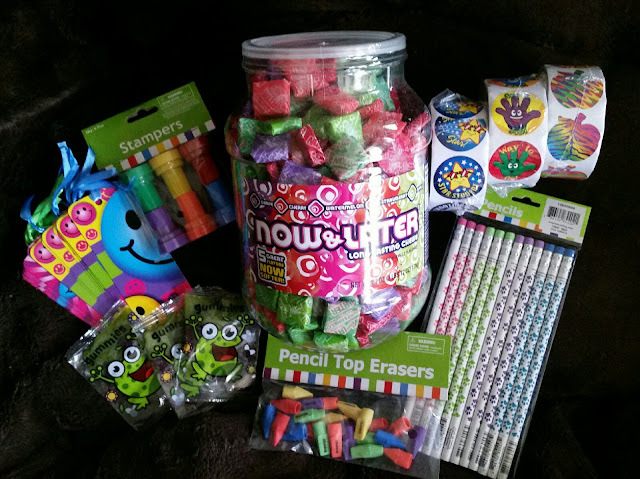 We all know that kids love candy, so candy is a must-have in any goodie bag! Am I right? I can't even begin to count the number of candy options that there are at Oriental Trading, but I can guarantee that you will find exactly what you're looking for! Pencils, bookmarks, stickers and activity books are also the perfect items for our end of the school year celebration. I had such a hard time choosing which pencils, bookmarks and stickers to choose because there are so many fun, cute, perfect choices! 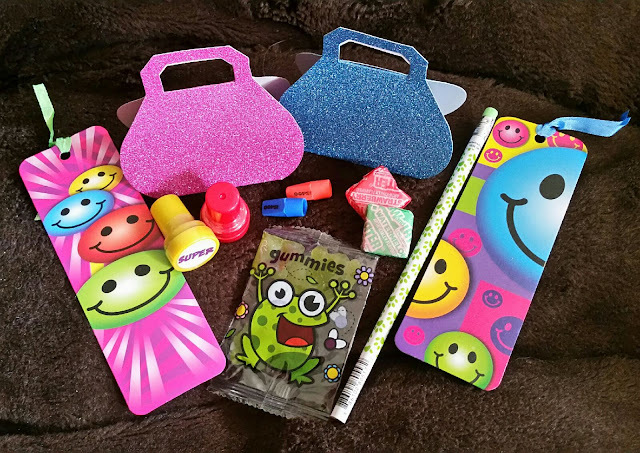 Of course, the girls received pink glitter party favor boxes and the boys received blue! The Learn365 by Oriental Trading website it absolutely amazing. It is very well laid out and simple to navigate, making it easy to find exactly what you need. You can easily browse through the different categories and special occasions or search for specific items by using key words. Learn365 is your one-stop-shop for those who develop, teach and inspire children. From curriculum-support products, everyday education essentials and art supplies to classroom décor, hands-on games and activities, we offer thousands of name-brand, exclusive and hand-picked products. Housed in one convenient location and at values that help you maximize your budget, we exist on a single goal: to make learning fun for less. We believe in smart saving and smart shopping. Which is why our in-house education experts work to develop exclusive products that are specifically created with both the teacher and student in mind. Products that create fun learning experiences. Products that foster a love of learning. Products that inspire and engage children. Plus, our easy-to-shop site makes searching for products and creative ideas as easy as lining up for recess. Because who didn't love recess? We want to be your partner in making a positive difference in children's lives. That means making Learn365 your go-to education destination by providing the assortment, quality, convenience and creative inspiration you need at prices that fit your budget. This review is based strictly on my own personal opinion. Others may have a different opinion or experience with the product or company listed above. I was provided a product sample free of charge by the company or PR agency and I provided my honest opinion. No other type of compensation was received for this review.